We have obtained ISO 9001 : 2015 Quality Management System certification. 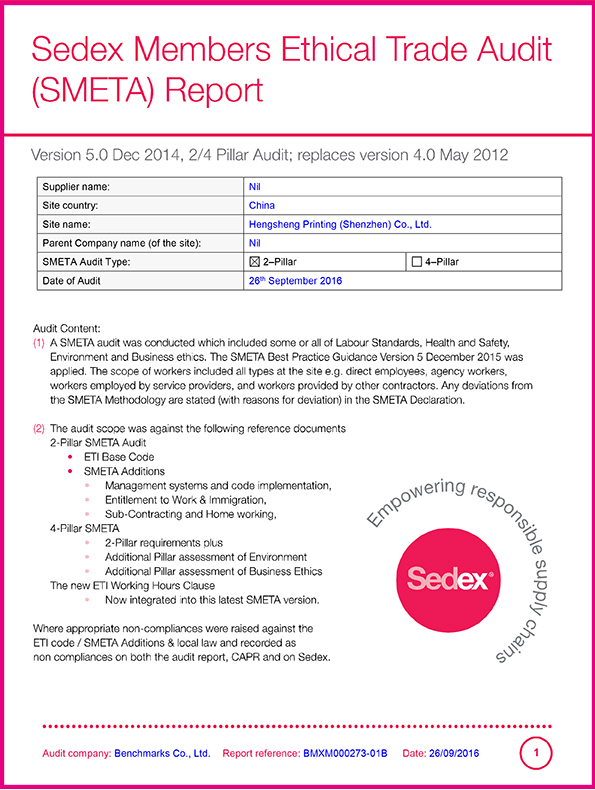 We have passed the Sedex Audit that mean we met the labor, health and safety, environmental and business ethics standards. 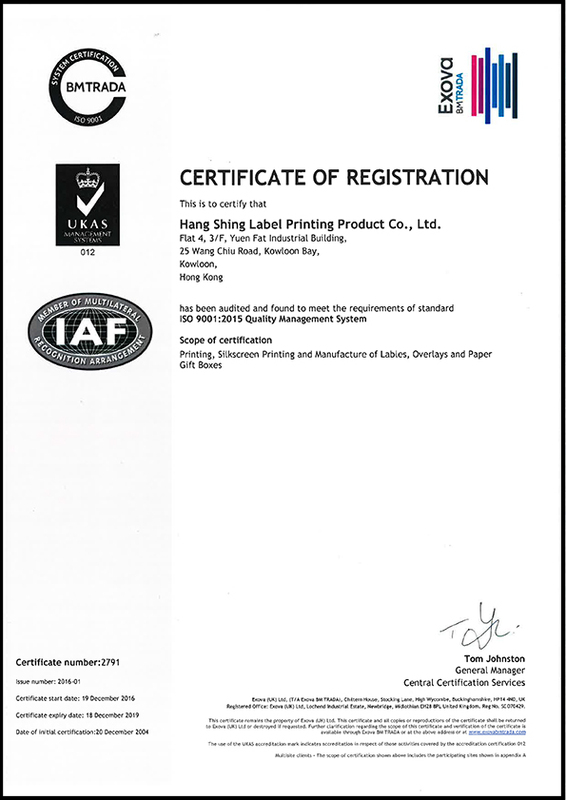 We have obtained UL (PGJI2) certification which certified by UL under Marking and Labeling Systems. This certification covers blank labels that are printed on thermal printers, typically by the OEM in their facility at the time of manufacture. This certification requires that the label material and the thermal ribbon be UL tested for compatibility as a complete system.